The 19-year-old Aston Villa winger has been linked with Nottingham Forest and Wolves in recent weeks. Grealish has mainly been used as a substitute this season. JACK GREALISH HAS suggested that he is frustrated with the lack of first team opportunities at Aston Villa. 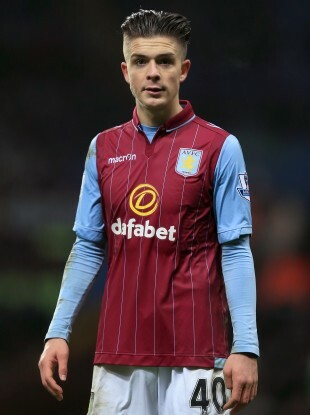 The Ireland U21 international has made just two starts for Villa this season, both of which were in cup games, while all nine of his Premier League appearances have come from the bench. Currently 15th in the table, the Birmingham club are the lowest scorers in England’s top flight with a measly 11 goals from 22 games while Andreas Weiman (2) is the only player with more than one assist. Grealish has been linked with a loan move until the end of the season with Championship clubs Nottingham Forest and Wolves both reported to be interested. However, Wolves boss Kenny Jackett has denied making an enquiry about the player, while Forest manager Stuart Pearce joked that he might as well be discussing Cristiano Ronaldo. It’s a difficult one, you’re asking me to speculate on a player that I’ve not confirmed I’m interested in at the moment and suggest what impact he might have at my football club,” Pearce told Sky Sports. Email “Grealish wants to be 'happy playing football again' as speculation about loan move mounts”. Feedback on “Grealish wants to be 'happy playing football again' as speculation about loan move mounts”.